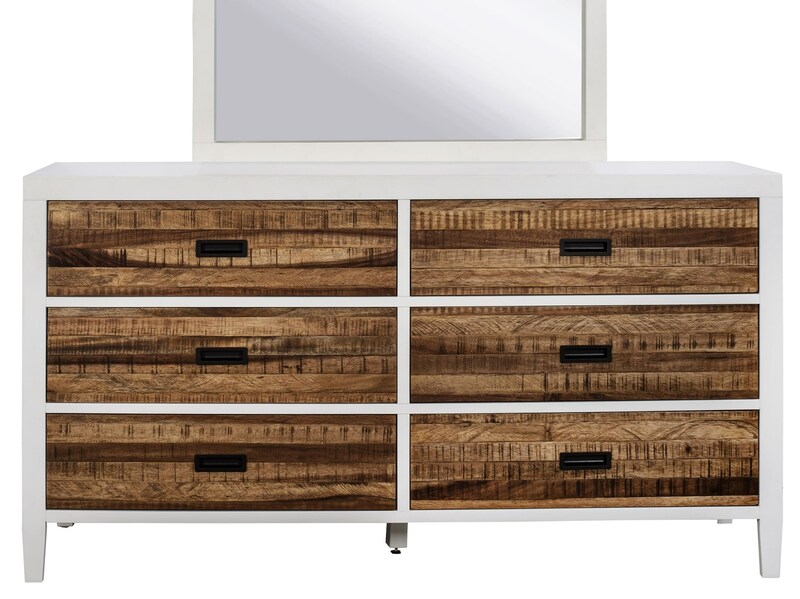 Contemporary styled, this unique dresser presents elegant accommodation for your modern bedroom space. Highlighted by a two tone finish, the dresser features six drawers with full-extension ball bearing glides and a top felt-lined drawer for more delicate items. Completed with flush-mount bronze drawer pulls, this accommodating dresser will transform your bedroom setting with exquisite style. The Montana Six Drawer Dresser with Top Felt-Lined Drawer by Modus International at Michael's Furniture Warehouse in the San Fernando & Los Angeles area. Product availability may vary. Contact us for the most current availability on this product. Storage Six drawers with full-extension ball bearing glides. Top drawer is felt-lined.